Please note there are spoilers for anyone who has not watched the entire first season of Broadchurch. 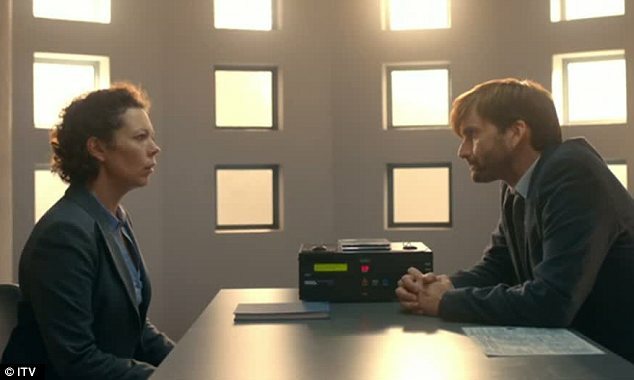 The conclusion of the first season of Broadchurch is heart wrenching in so many ways. In the last couple of episodes many of the closely guarded secrets are revealed, usually under duress. DI Hardy finally explains where Sandbrook went wrong to Olly and Maggie. His admission of the cover up shows a father trying desperately to protect his daughter, to take the blame so that his child is spared. It is an interesting contrast to other father-child relationships represented. It also shows quite a different side to a man who seemed devoid of deep emotion and empathy for much of the season. Susan’s storyline and her tragic past also came to light when being interviewed by DS Miller. It explains why she was so friendly to Tom, as she had lost her own daughters and her only child left, Nige, rejects her. Both her and Jack were drawn to children as they represented the loss of their own children. Ironically, in both cases such friendships were deemed suspicious. There are still some questions around Susan’s actions, such as why would she give Danny’s skateboard to Tom. Maybe her sentimental side got the better of her? 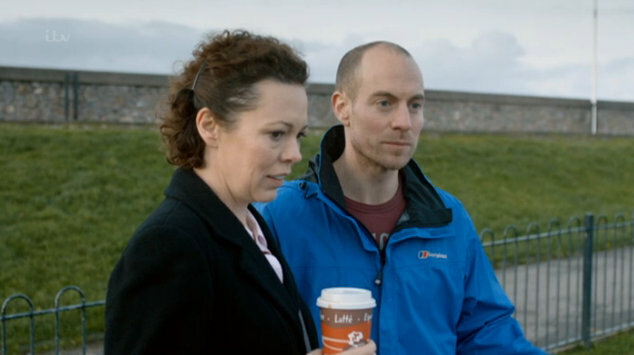 The significance of Susan in the Broadchurch world for me was the conversation she had with Ellie when she was leaving the station. Ellie is confounded and disbelieving that Susan would not have known what was happening under her own roof. Susan has no reply to her but she doesn’t need to. The seed had been sown and I felt a sinking feeling that this would come back to haunt Ellie. The realisation that Joe was the murderer and the details surrounding his relationship with Danny are disturbing to say the least. Although it is impossible to know for sure how their relationship would develop as Danny got older, it was not healthy as it stood. Joe knew that deep down or he would not have been so desperate to ensure that Danny keep it a secret. As distressing as it to learn about Joe, it is Ellie’s reaction which cuts to the bone. In the end, it is Ellie that you feel the most sorry for – even more so than the Latimer family. There are almost happy scenes where you see Beth, Mark and Chloe trying to rebuild and move on as a family. They even accept Dean into some of their family rituals. One cannot imagine such a future for Ellie. Her reality has been smashed to pieces. There is nothing quite as heartbreaking as Beth’s accusation to Ellie of ‘how could you not know’. It is almost in the exact same tone that Ellie had used with Susan. I’m sure Ellie will reflect on this and question herself over and over again. Even Karen, the reporter, seems to have finally found her humanity. We witness a tear at the press conference and afterwards she approaches Ellie to warn her not to ‘talk to anyone’. The cynical part of me wonders whether she includes herself in this warning. Or is she just positioning herself, similar to the way she did with Chloe? The series finishes with Danny’s funeral and his wake. The town and surrounding neighbours come together to mourn Danny in a beautiful display of lights. It is finally a show of solidarity, but has it been too late in coming? The community needs to not only reflect on the tragic loss of Danny but on everything else that they have lost along the way. Will they though? Maybe season 2 will tell. Were you shocked by episode 8? Did you start suspecting Joe earlier? I love BBC. Broadchurch was Great; so was Luther…no, Luther was phenomenal!!!!! Thanks for the heads up. Will have to give Luther a look.